This bar fridge comes with a 1-year manufacturer warranty. This warranty covers labour + parts. This warranty covers standard wear and tear faults. For a full warranty description, see the manufacturer’s website. For a Personal Care Plan service provided by Appliances Online, please refer to the Service tab, located on the appliance product page.Manual defrost,Manual control,0-10 Degree Temperature Control,Vegetable crisper drawer,Two and a half spill proof glass shelves,Shelf hanging chrome wine rack,Reversible door,Light.This Husky bar fridge is operated manually, so you can adjust the settings to suit the contents in your fridge at any given time or occasion. It also includes a convenient manual defrost function, making it easier to clean. 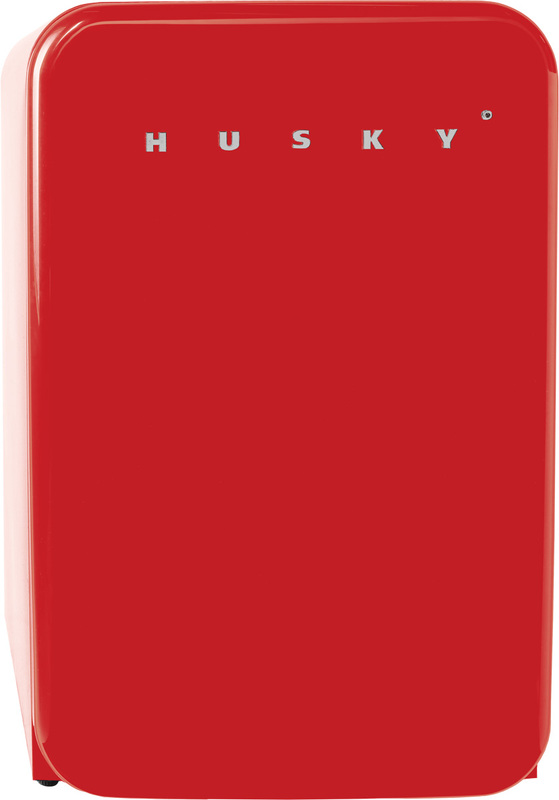 The Husky HUSRETRO110 Bar Fridge was added to the Refrigerators category in September 2016. The lowest price GetPrice has found for the Husky HUSRETRO110 Bar Fridge in Australia is $618.00 from Appliances Online.